Delhi-based Acidaes Solutions Pvt Ltd, which runs customer relationship management product CRMnext, has raised Rs 42 crore ($7 million) from Norwest Venture Partners (NVP). The fresh capital will be used to accelerate the company's global outreach and fuel investments into its research and innovation portfolio. "We are focused on expanding our reach in the global market and the funding will accelerate it. We'd like to strengthen our position as an enterprise class innovator in the CRM space which has seen consolidation resulting in commoditisation and has led to lack of real customer focused innovation," said Nishant Singh, CEO, CRMnext. "CRMnext helps define business strategies by making sense of big data coming from various customer touch points. Traditional CRM systems do not engage customers or make use of analytics. We believe the CRM market is evolving and next generation CRM systems will be multi-channel, more vertically focused and have a heavier emphasis on customer engagement," Mohan Kumar, executive director, NVP India, said. Founded by Singh in 2002, CRMnext runs CRM implementation which includes managing sales, marketing and customer service across the organisation and sharing of information by centralising all customer data and processes in markets like Asia Pacific, Africa and Middle East regions. It has clients like ICICI Bank, AXIS Bank, Max Life Insurance, TATA AIA and HDFC Bank. Customers from other verticals like media, pharmaceutical, telecom, entertainment, energy and manufacturing, include Pfizer, Reliance, CRISIL, Fullerton Financials, Bajaj and IIFL. The company claims to be profitable. Mumbai based boutique investment bank Zanskar Advisors was the exclusive financial advisor. Norwest Venture Partners, which manages approximately $5 billion in capital is a multi-stage venture and growth equity investment firm. It has been investing in a variety of verticals, including retail, healthcare and education. 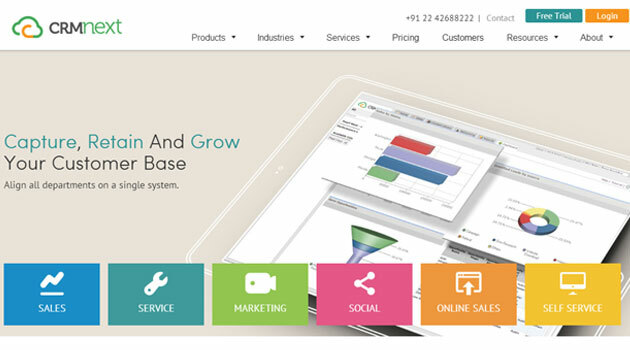 NVP has also invested in CRM companies Capillary Technologies and Manthan Systems. Capillary Technologies raised $15 million in September 2012 from Sequoia Capital, NVP and Qualcomm Ventures. NVP also invested $15 million in Manthan Systems, a retail-focused data analytics firm, in early 2012.